This is a fine whiskey, which strictly speaking is a blend but only contains pot still whiskey and malt whiskey. Unlike other blends it does not contain and grain whiskey. This has been extremely popular since it was first released and is a favourite with our staff. 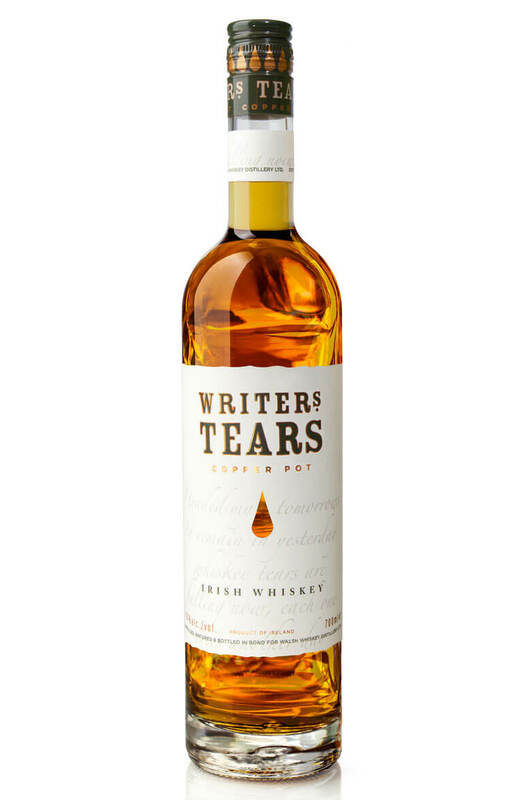 Writers Tears won the award of Best Irish Blend Under €50 in the 2013 Irish Whiskey Awards. A blend of pure pot still whiskey and malt whiskey. A deliciously soft, sweet, easy drinking dram. Palate Gently spiced with a burst of ginger and butterscotch with background notes of toasted oak. Long, elegant finish with subtle notes of milk chocolate and almonds. Distillery Undisclosed, although this contains single pot still and some triple distilled single malt. Ingredients 100% Barley. Both Malted and Unmalted. We recently got a surprise consignment of this whiskey along with some of the 2012 edition. We just ..
A great little gift pack containing 3 miniatures of the hugely popular Writers Tears Copper Pot whis..